Nintendo of Europe has done a standout job with eShop sales thus far. 3DS VC titles have been discounted regularly, and even Wii U eShop titles have started to see temporary price drops. The same can’t be said for the situation in North America. Sales have been few and far between, and the Wii U store has yet to see a single discount. One does have to wonder why there haven’t been any Wii U sales yet. Broken Rules co-founder Felix Bohatsch recently wrote on Twitter that the studio would like to have a sale for Chasing Aurora, “but we can’t yet”. Trine 2: Director’s Cut could be just the start of Frozenbyte’s Wii U support. Sales and marketing manager Mikael Haveri has said that the studio is “very interested” in working on the console once more. Haveri also commented on sales of Trine 2: Director’s Cut thus far. Haversi said the title is selling “fairly well according to our calculations”. 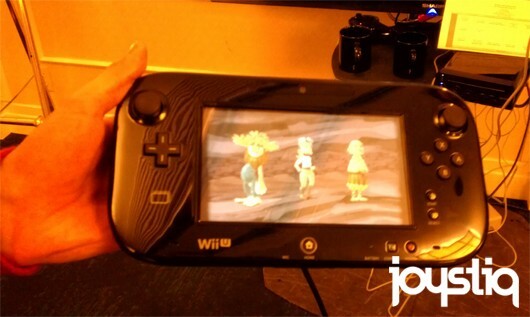 SEGA and Double Fine’s The Cave was finally playable on Wii U during a press event last week. On Nintendo’s console, players can expect the GamePad to act as a character selector and means of controlling the camera. If you tap on a character, you’ll jump to them. If you double tap, the camera’s focus moves to them. Characters do not move independently off-screen in the game.